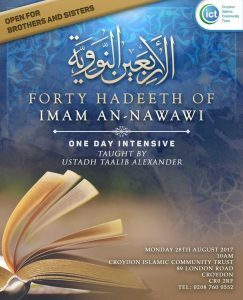 We are pleased to announce that we will be having an all day intensive seminar, the Ustadh will be teaching from the Forty Hadeeth of Imam An-Nawawi on Monday 28th August 2017 from 10.00am up until late inshaAllah. 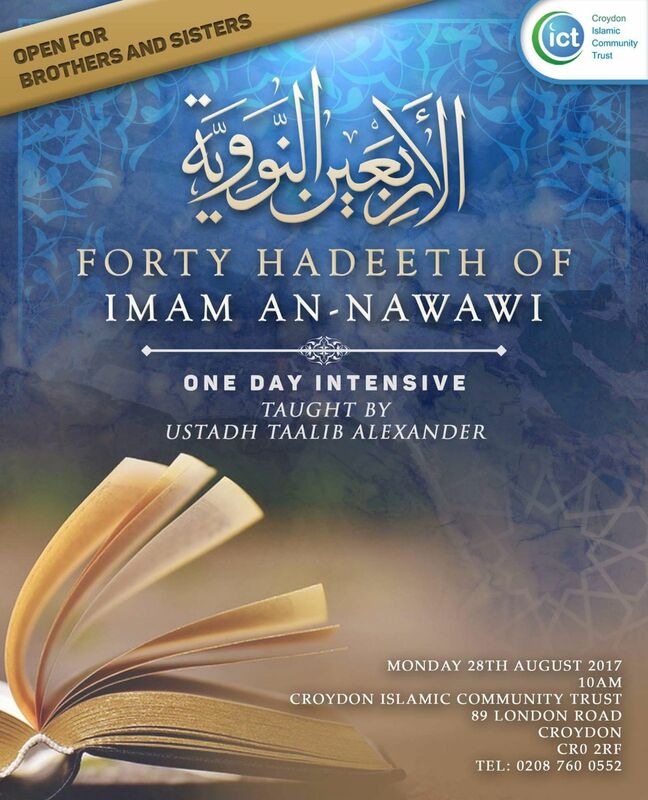 We encourage everyone to attend as there are many ahadith in this collection that are a fundamental in having the correct understanding of Islamic belief. This entry was posted in News, Seminars and tagged forty ahadith, Talib Alexander by Admin. Bookmark the permalink.